We offer a variety of online classes for both pre and post-licensing candidates thru Dearborn Real Estate Portal and OnCourse Learning. Through our online portal, interested students may also participate in appraisal and home inspection courses. These classes may be taken anywhere you have Internet access and completed according to your schedule. You might also find them less expensive than in-person, classroom options. 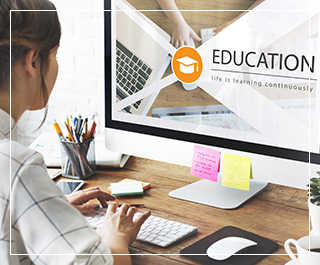 Please note: Our instructors are available to answer questions regarding the content of your course; however, we do not process payments for online courses or deal with technical issues. Please follow the onscreen directions to create a username and password for REcampus or OnCourse Learning. Then you may add products to your cart, pay for them using their secure checkout, or send communications to their technical teams.